Since it’s creation in 2013, iDisciple has been connecting people daily with God to make a global difference. 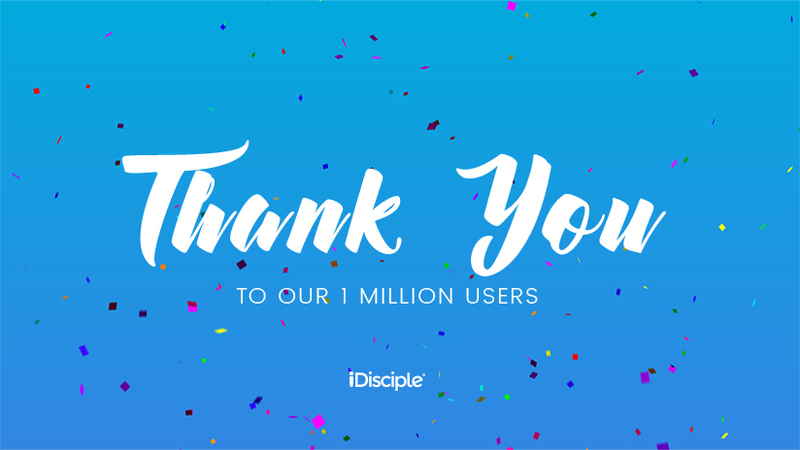 We are honored and humbled to inspire over 1,000,000 people globally to dive deeper into their faith through life-changing content. iDisciple works with over 300 ministries, authors and speakers to provide a breadth of content from the most highly respected leaders in ministry. As of April 2017, iDisciple is also available in Spanish, helping the organization expand it’s global reach. Key features include a Personalized Daily Feed, Growth Plans, In-App Bible, Devotionals, Top Sermons and Radio. The app averages 10.2 screen views per user, with an average session lasting 6 minutes. Females make up the majority of the user base at 63% and nearly half of the users fall between the ages of 35-54. In addition to it’s user growth expanding to 1,000,000 within 4 years, the platform has published over 84,000 posts, created 30 exclusive growth plans and features 45 devotionals. – at their fingertips, on-demand, when they want it, when they need it. From growth plans to music, iDisciple offers a treasure trove of personalized content to users across the globe. No matter the location or device, we help them to be more closely connected. Download iDisciple from the iTunes App Store or Google Play. To learn more about iDisciple visit our website.